Facing up to the reality of needing the services of a care giver is pretty unpleasant for all involved. Whether it’s you yourself that’s in need of help or any close friend or loved one, it often represents one of those turning points in life nobody wants to face. Of course, once the call has been made and the provision of care begun, the individual or couple in question will find their lives, their wellbeing and their overalls happiness enriched in such a way they’ll be wishing they signed up much earlier. Care provision has stepped up in a big way for the 21st century and is almost impossible to compare in any way with that of years gone by. Home care has been steadily growing in popularity for some time now as a welcome alternative to the standard care home. Being able to stay at home and still receive elite professional care is for most much more appealing than moving into a care home on a full-time and permanent basis. Even so, it can still be difficult to admit that you – or perhaps a close family member – really is in need of this kind of care. It can be hard decision but it is an important one to make. All cases vary in accordance with personal circumstances of course, but there are certain signs and signals to be aware of that could indicate the need to at least speak to a care professional. Most people are guilty of becoming rather stubborn when it comes to mobility problems – especially in their own home. There are thousands of citizens all over the UK that haven’t used or visited the upstairs of their homes for years now, having found themselves unable to climb the stairs but refusing to move or ask for help. When and where mobility around the home becomes a problem, it can take little more than the occasional visit by a professional care giver to help anyone regain full and comfortable access to every room of the home, while at the same time looking after those rooms and areas that are hardest for the resident to get to. If and when it has become apparent that simple trips out of the home have become a challenge, it might be time to think about asking for help. One of the most common and helpful duties performed by care givers across the UK today is that of grocery shopping or a bill paying on behalf of their clients. The difference made by no longer having to make tiresome trips to the supermarket alone can be huge – all of which can be organised to suit the needs and desires of the resident, right down to the finest detail. Health problems are of course the primary reason why the elderly often make the move to a care home, but in many instances the same care could easily be provided in the comfort of their own home. In any case though, if it’s apparent that existing health problems are getting worse or new health issues are beginning to have an impact on a person’s life, it’s a good idea to make the call and seek a little advice. The same also goes for those facing any general hygiene or sanitary issues. It could be that cleaning the home as a whole has become too difficult to manage alone, or perhaps that bathing has become a painful and potentially dangerous process. In all such cases, there’s really nothing to gain from suffering in silence when there’s friendly, affordable and accessible help out there waiting to be called upon to help with things like cleaning. And it doesn’t have to be any specific physical or logistical issues being faced either – loneliness and depression can be even more debilitating. Home care giving isn’t all about cooking meals and cleaning rooms – it’s also about a friendly face providing welcome company and companionship to those who need it most. It’s amazing the difference a genuinely wonderful care giver can make to the life of an individual who really needs nothing more in life than a new reason to smile every day. Home care can help with loneliness. Last but not least, when and where an individual or couple begins to put a strain on both the time and the finances of their family and friends, it could be time to call for some advice. 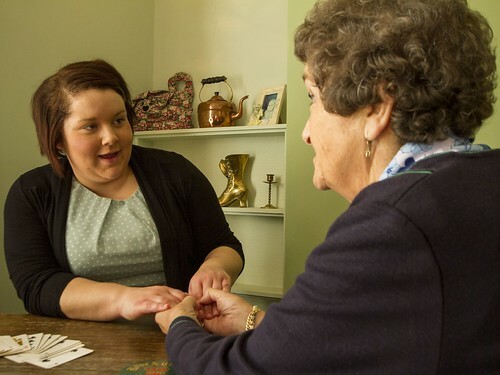 Home care provision isn’t only the ideal solution in instances where dependency has become problematic, but it can also be massively more affordable than most realise. Written by Chris on behalf of the K2 Care Agency, a care and support agency in Peterborough, England.